After UberX comes UberXl. While it’s great to start off on the lowest platform, sometimes it’s time for an upgrade. Or maybe you already have a SUV so it would only make sense to know the UberXL car requirements. Honestly, there isn’t a big difference in requirements between the 2 different platforms, but it’s always good to know the specifics. So, read on to learn the vehicle requirements for UberXL. While you will be spending a little more on gas for your vehicle, you will also be making slightly higher fares from the trips you take as a driver. Each Uber service has a different set of car requirements. UberXL, the low cost option for a large group of people, will accept most 4-door vehicles providing it is of a certain age and can seat 6 people (excluding the driver). The requirements aren’t much more than UberX except for the fact you need to be able to seat more people. While most cars are accepted into UberXL that meet the above requirements, it’s still good to have an idea of what kind of car you should use for the platform. Below is a list of recommended cars and a few restricted cars as well. So there you have it. Those are the car requirements for being an UberXL driver. 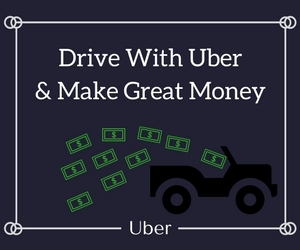 You’ll be driving more people and potentially making more money. Want to drive for Uber? Learn how with these three easy steps. If you have any questions leave a comment below. Check out the Uber Select car requirements next!